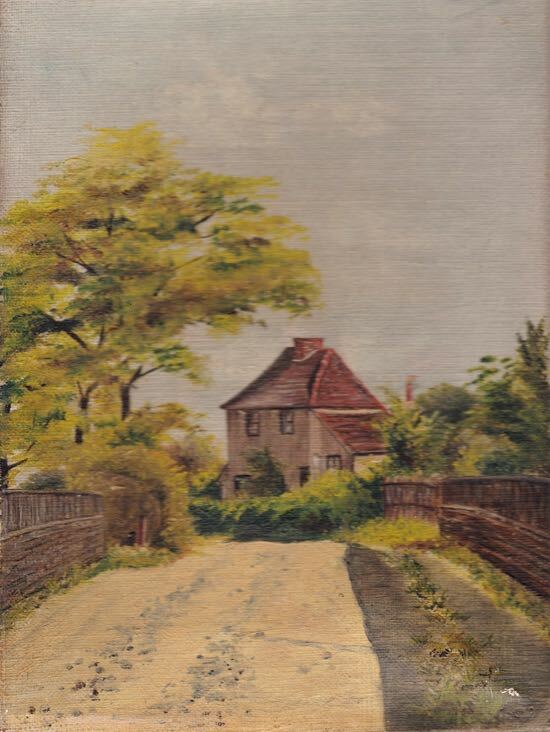 The oil painting above is dated 1909, and is believed to be the only known image of a pair of cottages that once stood on the south side of Hawkshead Lane to the east of the railway line next to where Hawkshead Bridge is today. Both Hawkshead Road and Hawkshead Lane have previously been known as Hawkshead Lane, Reeves Lane, Folly Lane, Jennings Lane, and Boltons Lane. 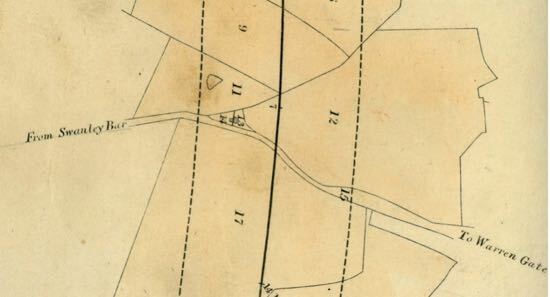 The cottages feature on the first detailed Ordnance Survey (OS) map of 1822, and can be seen just above the word Reeves. The map above was created before the Great Northern Railway (GNR) line was built. The 1830 GNR plan of the proposed route for the railway, above, depicts the building as two dwellings. 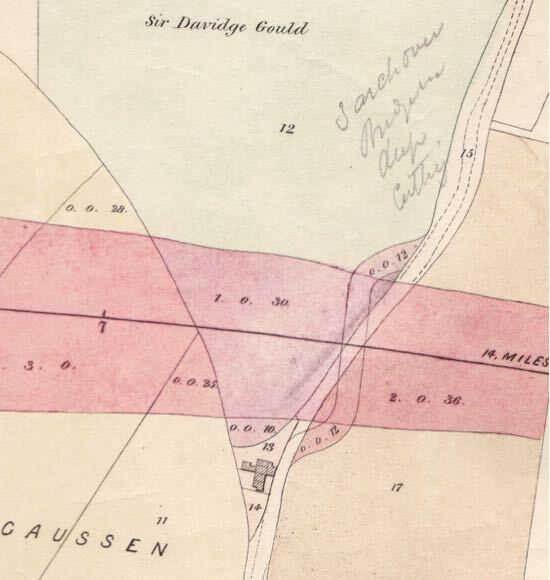 Interestingly, the undated pre-1850 GNR land acquisition map, below, illustrates the intent to construct the Hawkshead Bridge at right angles to the railway, rather than the skew bridge as it is today. 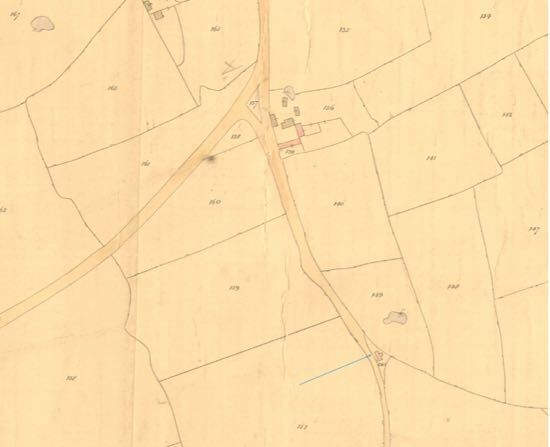 The award book that accompanies the North Mimms 1844 tithe map, above, lists the cottages as Plot 150, Cottage and Garden, owned by John Godfrey and occupied by James Coventon (sic) and another. The 1841 census is more precise, and lists James Covington as a 30-year-old agricultural labourer living with his 25-year-old wife Eliza and their three daughters aged eight, five and two years old. Construction of the railway line and bridge began in 1848 and was completed in 1850. The map above illustrates the railway line and Hawkshead Bridge in close proximity to the cottages. A signal box was also located here but had been removed by 1896. The 1881 census lists 26-year-old signalman George Bonner as living there with his 23-year-old wife Harriet and their one-month-old baby. In 1891 the census lists GNR signalman Charles Mabbett as living in Reeves Lane with his wife and two young children and Arthur Leonard a GNR signalman lodging with them. The cottages had been demolished by 1960.